There may not be a title on the line at the 20th offering from World Series of Fighting, but the promotion can boast quite a few things about this lineup. It does include a champion seeking to start his journey to a second piece of gold. There’s a former Olympian. There’s a man who overcame the odds as a congenital amputee and became a successful fighter and rising star. There’s a late replacement. There’s even a real-life superhero. The champion is middleweight kingpin David Branch, who shifts his focus to the 205-pound division and the promotion’s light heavyweight tournament. Branch will clash with Ronny Markes in the tourney’s semifinal round. World Series of Fighting 20 takes place April 10 at the Foxwood Resort Casino in Mashantucket, Conn. 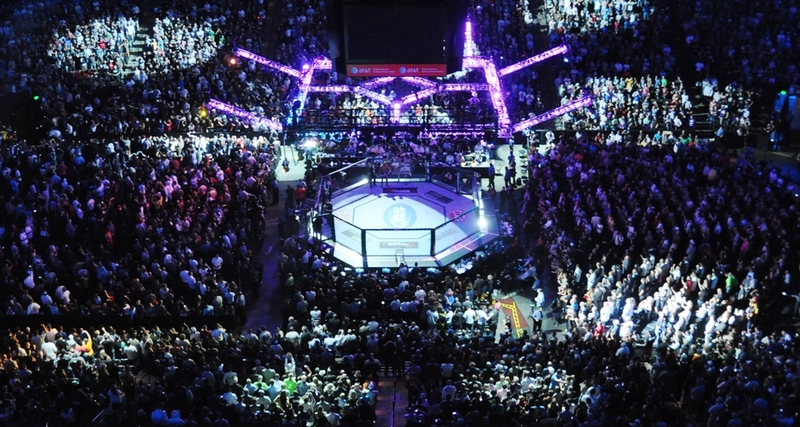 The six-fight preliminary card airs live on nbcsports.com at 6 p.m. ET. The five-fight main card follows on the NBC Sports Network at 9 p.m. ET. 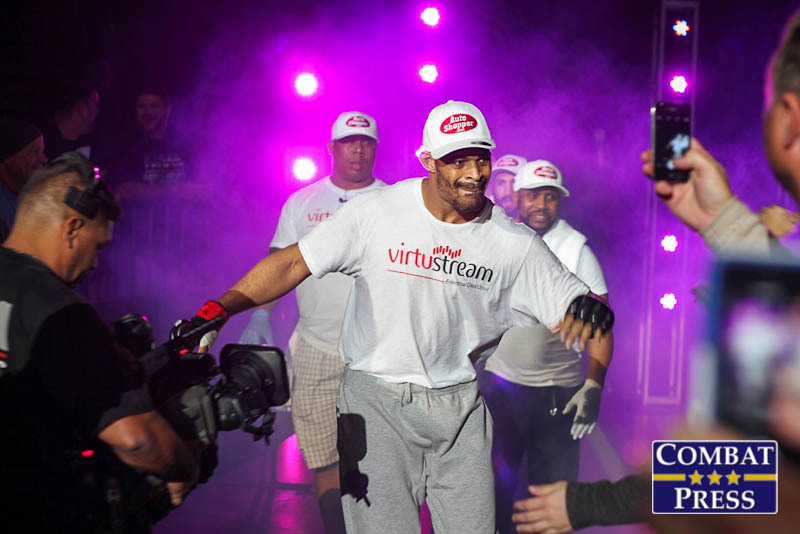 David Branch has established himself as one of the best middleweights outside of the UFC, but that’s not enough for the WSOF 185-pound champion. Now, Branch is looking to add more gold to his collection. The WSOF middleweight kingpin has entered the promotion’s light heavyweight tournament, and fellow UFC veteran Ronny Markes represents the first hurdle Branch must clear if he wants to become a two-division champion. 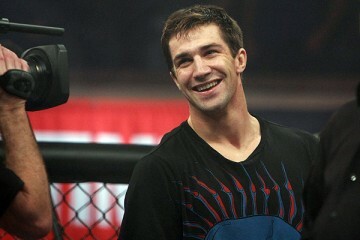 The 33-year-old Branch entered the UFC in 2010 as a 6-0 prospect. He turned in a 2-2 mark through four fights with the promotion, but the UFC opted to show him the door. He picked up two more wins before entering the Titan FC cage and running into the surging Anthony “Rumble” Johnson. Rumble handed Branch his third career loss, but the Renzo Gracie disciple rebounded with a surge of his own. 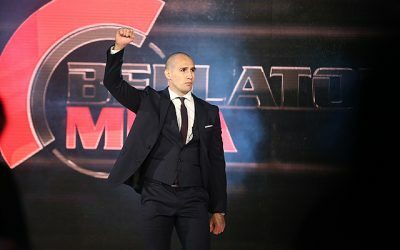 He entered the WSOF and claimed decision wins in his first three outings, including a middleweight tournament semifinal victory over Danillo Villefort, and landed in a title fight opposite Jesse Taylor. Branch submitted Taylor in less than two minutes to claim the belt. 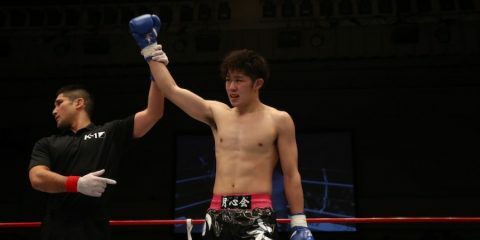 He went on to successfully defend the championship in November with a fourth-round TKO finish of Yushin Okami. Branch is a Brazilian Jiu-Jitsu black belt, but he has displayed a well-rounded arsenal that has led to five wins by some form of knockout and four via submission. 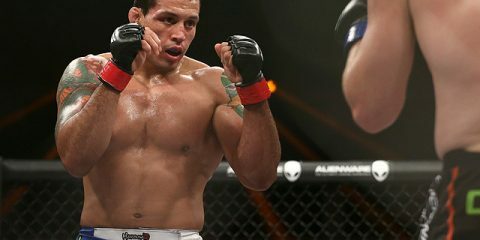 Markes ran his record up to 11-1 before signing with the UFC, but the Brazilian, like his American counterpart, ran into some bumps in the road once he set foot inside the Octagon. 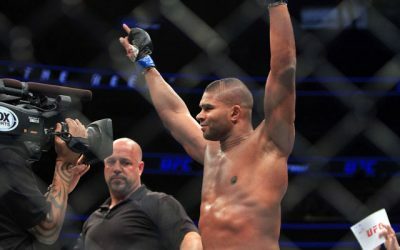 The 26-year-old launched his UFC career with three strong showings, making his debut at light heavyweight and his subsequent UFC appearances at middleweight. 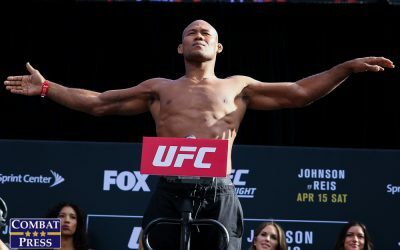 After going undefeated through three Octagon outings, Markes ran into problems when he encountered Yoel Romero and Thiago Santos. Both opponents finished Markes with strikes, and the Brazilian was soon handed his pink slip. He signed with the WSOF and defeated Cully Butterfield in his promotional debut before entering the light heavyweight tournament. The Nova Uniao Kimura fighter is also a BJJ black belt, but he, too, features a balanced skill set that has accounted for five TKO finishes and four submission wins. 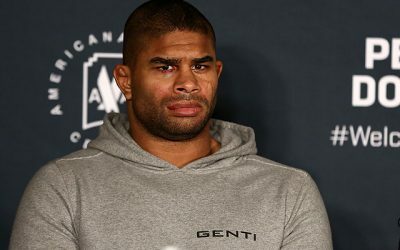 Branch didn’t exactly turn heads in the UFC, but his only losses came to Gerald Harris and Rousimar Palhares, a pair of fighters that have found plenty of success in their own careers. His only other loss came to Rumble, and there’s certainly no shame in losing to a fighter who has enjoyed a meteoric rise to UFC contender status. Outside of those three fights, Branch has dominated the competition. He has had to settle for several decisions, but the Renzo Gracie product has shown an improved finishing instinct in his two most recent fights. 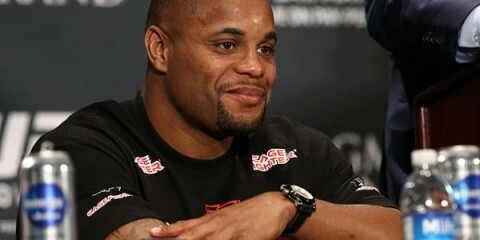 The question lies in whether he can carry that success up to the light heavyweight division. He has fought a couple of catchweight bouts, including the loss to Rumble, but middleweight has been his primary home throughout his career. Markes doesn’t have quite the run of success that Branch has enjoyed, but his overall mark is almost identical to the record of his counterpart in this fight. The Brazilian’s recent knockout losses are a red flag, though, as he enters this battle. Branch managed to put away Okami with strikes and has grown confident in his stand-up game. If Markes can’t protect his chin, he could become another name on the list of Branch’s victims. Branch is another middleweight who has the size to find success at light heavyweight, especially outside of the UFC. He also has the speed and technical striking to give Markes a difficult time. Branch might be able to finish Markes with strikes. If not, he’ll certainly do enough to edge the Brazilian on the scorecards and advance to the tournament finals. This particular WSOF card is a showcase for former lightweight contenders looking to climb back up the ladder as former title challenger Nick Newell gets a co-main event slot opposite Joe Condon. Newell put up a valiant effort in his bid to capture WSOF gold against Justin Gaethje. Gaethje put away Newell with strikes in the second stanza, handing the former XFC champ the first loss of his pro career. The 29-year-old Newell holds notable victories over Eric Reynolds and Keon Caldwell. He has a background in high school and collegiate wrestling. Condon is a veteran fighter who streaked out of the gates to a 6-0 start after making his pro debut in 2007. He has gone 6-7 over his last 13 fights, however. The Cobra Kai fighter has six decision victories and five submission finishes. 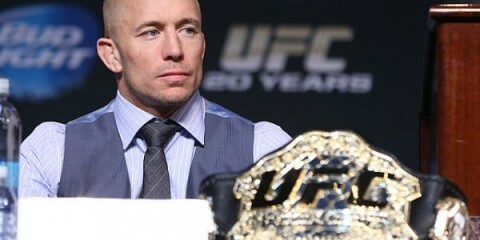 He has suffered one TKO loss, two submission defeats and four decision losses. 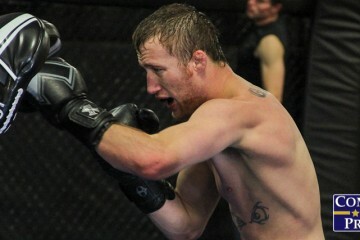 The knock on Newell has always been about his congenital amputation and how it puts him at a disadvantage in fights. 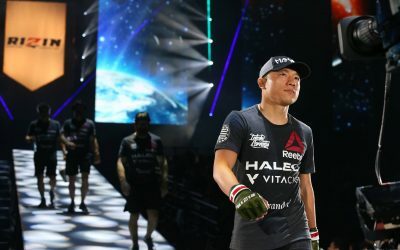 He has proven repeatedly that he is just as dangerous as any other lightweight fighter out there, and even his loss to Gaethje went a long way to proving his abilities in the cage. If Newell can hang with the likes of Gaethje and defeat everyone else he’s faced, there’s little reason to think Condon will give him a ton of trouble. Newell is aggressive, and he’s very skilled at getting the takedown and catching opponents with submissions. Expect to see Condon join Newell’s list of victims. Newell will be determined to erase the memory of his loss to Gaethje, and that means he’ll be hunting for an early finish. This fight ends in the first round, with Newell securing the submission victory. First, Melvin Guillard failed to make weight for a lightweight title shot against Justin Gaethje. Now, the UFC veteran’s misfortune continues. Guillard has been forced out of his WSOF 20 match-up with fellow lightweight contender Ozzy Dugulubgov, leaving Dugulubgov to fight Lucas Montoya, who steps up from the preliminary card on short notice. Dugulubgov has amassed a 3-1 mark while fighting under the WSOF banner. The North Caucasian-born, New Jersey-based fighter came to the promotion after posting a 3-1 record in Cage Fury Fighting Championships. He made his WSOF debut at the promotion’s second event, where he topped Chris Wade on the scorecards. Dugulubgov claimed a submission win over Andrew Osborne in his next appearance and then lost to Jonathan Nunez via split decision. 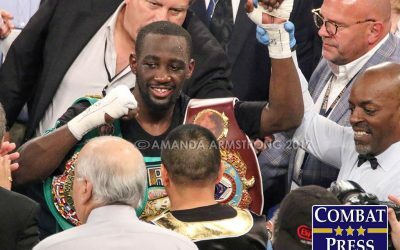 He rebounded with a knockout finish of Keon Caldwell. The Renzo Gracie fighter has a solid wrestling and grappling game, but his biggest strength is in his stand-up. The 26-year-old has a taekwondo background, and his fists have accounted for three wins by some form of knockout. Dugulubgov certainly carries the firepower to stand with Guillard, but he now gets a much more advantageous pairing against Montoya. The Blackout MMA product Montoya made his pro debut in 2007 and compiled a 5-3 mark by 2011, when he went inactive. He returned in 2014 and tacked on three more wins, including a first-round TKO of Jimmy Spicuzza. Montoya may have picked up the win with his hands, but he’s usually more dangerous on the mat, where he has claimed five submission wins. The victory over Spicuzza proved that Montoya packs power, but he’s a significant downgrade from Guillard in terms of overall striking and experience. Against Guillard, Dugulubgov was staring at a potential slugfest. At the very least, had Dugulubgov stood with Guillard, he would have risked a decision loss on the scorecards. Now, Dugulubgov shifts from potential underdog to clear favorite. Montoya can come out strong, and late replacements have been known to stun their opponents, but Dugulubgov is more than capable of weathering the early storm and out-grappling and out-striking his opponent for three rounds. However, don’t expect Dugulubgov to wait for the judges to settle this one. 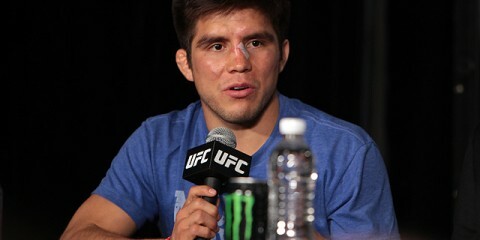 Instead, he’ll overwhelm Montoya with strikes before finishing Montoya by submission. Real-life masked superheroes aren’t that common, but the WSOF has snagged one in Ben Fodor, who is also known as costumed crime fighter “Phoenix Jones.” In the MMA landscape, Fodor might not don a mask, but he does boast an undefeated record as a professional. He’ll put that mark on the line in his WSOF debut against Emmanuel Walo. Fodor has a lengthy stretch of amateur fights dating back to 2006. He suffered only a couple of losses while tallying a double-digit total in the win column. Fodor finally turned pro in 2013 and won his first four fights. His fifth fight, against Tyson Cunningham, ended in a majority draw. Fodor rebounded by tacking on a fifth win. As a pro, Fodor has notched two submission victories and one TKO stoppage. 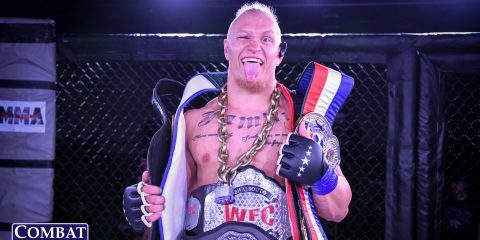 Usually, a promotion will serve up an easy opponent for its high-profile signing, but the WSOF isn’t letting Fodor off easy. His opponent, Walo, is a journeyman fighter with victories in the WSOF, Cage Fury Fighting Championships and CES MMA. Walo lost his 2011 debut fight, but bounced back with a 7-0-1 run before facing Chuck O’Neil in his most recent contest and suffering an 11-second knockout loss. The 28-year-old has a habit of going the distance. He has only scored one submission victory and one knockout to accompany four decision wins and one disqualification victory. The 26-year-old Fodor is deceptively experienced, thanks to his lengthy amateur career. He’s facing a tough test in Walo, who has trained with the Renzo Gracie camp. Walo has a real tendency to grind away at opponents and seek the win on the scorecards. Fodor has a higher finishing rate, but he has had a couple of close fights against questionable competition. Walo’s chin is the big question mark in this fight. O’Neil decimated him, and Fodor could follow suit. However, Walo is a big step up in competition for a fighter who has made a bigger name on his crime-fighting moniker than his cage-fighting prowess, however successful he has been in that regard to this point. The attention he has received may be a distraction and might cause him to enter this fight with an inflated sense of confidence. Walo is poised to be the perfect spoiler to Fodor’s entrance into the WSOF. It’ll be a close fight, but Walo will grind his way to another win. Former NCAA Division I wrestling champion and 2008 Olympian Steve Mocco returns to action in the evening’s first bout of the main card. He’s hungry to post his first win under the WSOF banner, but he’ll face a tough test in Juliano Coutinho. Mocco’s focus on wrestling led to a late start to his MMA career. Now 33 years old, Mocco didn’t make his pro debut until 2012. 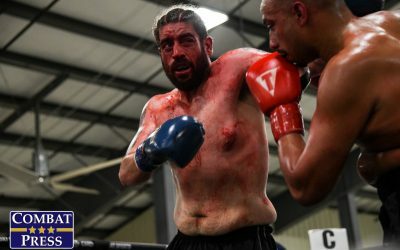 In four appearances, including two in the Resurrection Fighting Alliance cage, Mocco picked up three submission finishes and a decision win, which came against veteran competitor Lew Polley. The American Top Team fighter lost his momentum when he made his WSOF debut at WSOF Canada: Ford vs. Powell. Mocco went the distance with Smealinho Rama and emerged on the wrong end of the verdict. Coutinho lost his 2009 debut fight via a one-minute TKO, but he returned for his sophomore appearance in 2012 and has gone undefeated in six appearances since the loss. The Brazilian earned his Brazilian Jiu-Jitsu black belt under Daniel Gracie. The 2008 no-gi Pan-American Jiu-Jitsu champ has worked on his striking with Sityodtong Boston and CCFA. He has finished three opponents with strikes and two by way of submission. Coutinho, who holds a notable victory over UFC veteran Josh Hendricks, has been on the shelf for more than a year. He was slated to meet Tim Sylvia earlier this year, but Sylvia was not medically cleared for the fight. Mocco may hold the advantage in the wrestling department, but he’s outgunned in the grappling and striking departments. Coutinho’s elite grappling will give Mocco headaches on the mat, and the Brazilian can be expected to flash the better striking arsenal of the two men. Unless Mocco can consistently score the takedowns and then blanket Coutinho for five minutes at a time, this one is not going in the Olympian’s favor. Coutinho will either score the late submission or settle for the judges’ nod.